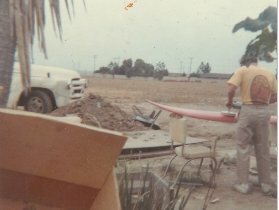 Wave Trek Surfboards was founded by Bruce "Snake" Gabrielson and Chuck Ray in a warehouse in Costa Mesa during 1969 and moved to an old red building (left) near Garfield and Delaware in Huntington Beach about one month later. 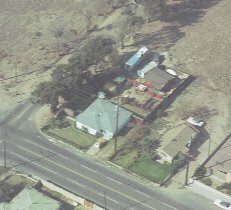 The picture below from the air shows another picture of the old Wave Trek shop behind Bruce's parents home around 1970. 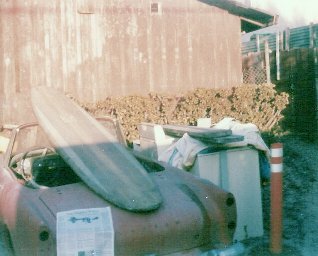 When the boards were first being built, no other houses were nearby and, as shown in the picture of Bruce sanding, you didn't need to worry too much about environmentalists closing you down. The shop had a showroom, shaping room, glassing room and glossing room. Boards were sanded outside the back door. Eventually we put a 6 ft high wood fence around the building and everything became a little more contained. 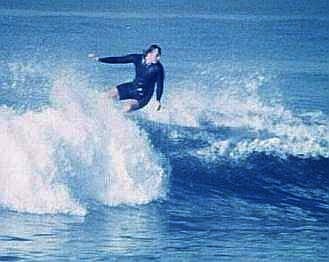 Bruce was taught to shape by Dale Velzy when he was shaping for Soul Surfboards. 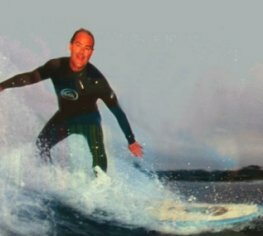 Bruce was able to start Wave Trek when Dale retired and started selling blanks for Bob Rogers at Roger's Foam. 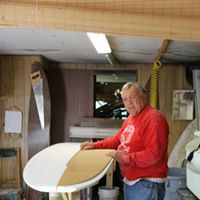 Dale gave Bruce all his shaping equipment and templates, plus helped supply blanks and contacts for wetsuits and related accessories. 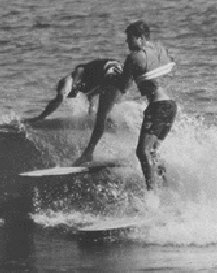 Both Bruce and Chuck had helped shape and make boards for several years but the first few were mostly for their own personal use. However, once production got going, quality improved immensely. 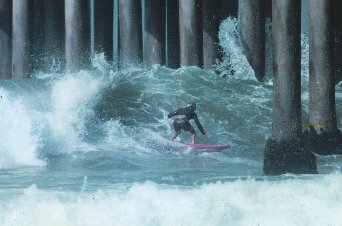 The company had a sales outlet next door to Greek on Pacific Coast Highway across from the Huntington Pier for a short time, and also a Hermosa shop, owned by Gary Diss, on Pacific Coast Highway. 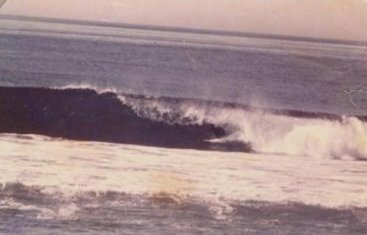 The first picture at the top of this page shows the Wave Trek Shop sign that was painted by Robert Milfield and hung first on PCH and then at the manufacturing facility for many years. 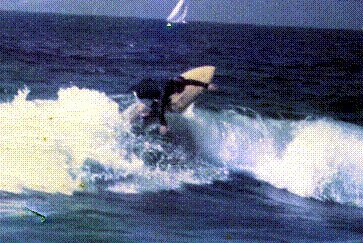 The second picture above shows (L-R) Jack Sahakian, Chuck Ray, and Bernie Keach at the Hermosa Beach shop. 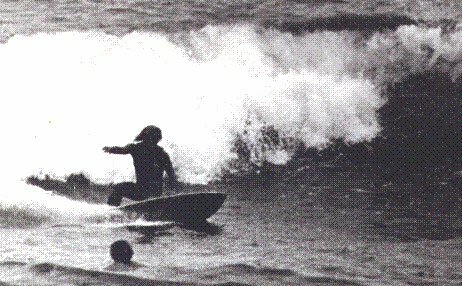 The picture at left is the Wave Trek van with Charley Ray driving. 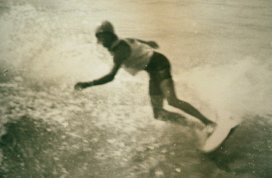 Using primarily Roger's Foam Blanks obtained from Dale and Bob, approximately 12,600 boards of various designs were built during the production years until 1978 when the company folded following a robbery. 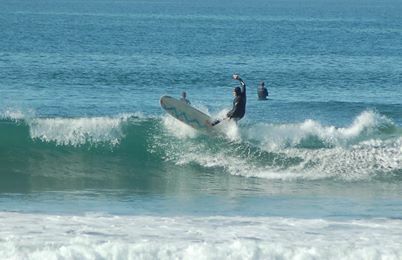 Of those boards, approximately 2,400 high performance boards were built for ranked contest surfers. 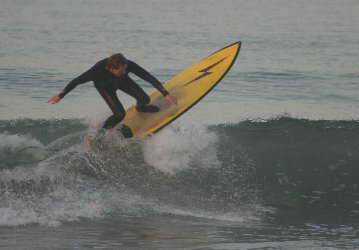 These boards are usually identified on the stringer with the surfers name after the shapers symbol or name, followed by a special serial number. 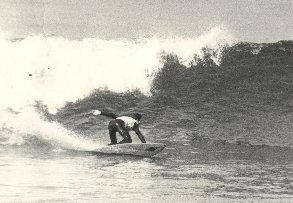 Approximately 300 Island Guns were also built for big wave surfing. 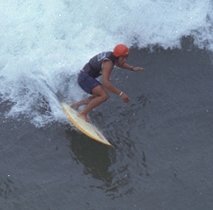 Wave Trek also developed some specialty boards including pocket rockets for Hawaiian surfing and the 3'11" short board used for surfing at the Huntington Beach Pier after regular surfing hours during the daytime. 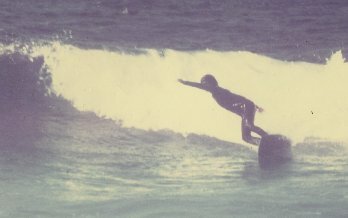 The picture at the bottom of this article shows Chuck Ray riding the super short stubby model. 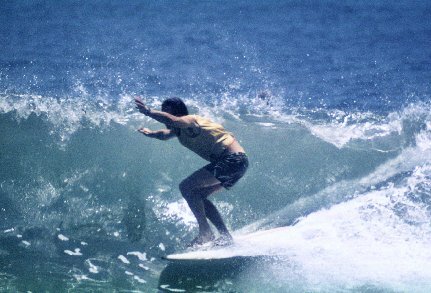 A few Wave Trek boards were built in the 1980s and 1990s on the East Coast by Bruce Gabrielson and on the West Coast by Jeff Smith since the company closed down. These boards do not have serial numbers and are only custom made for personal use. 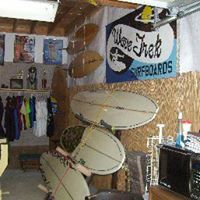 Most boards use the black and white Wave Trek cursor decal. 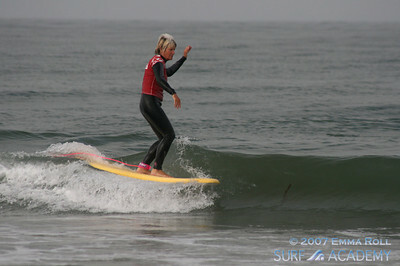 However, a few boards featured the WT Surf Team decal and some used the colored WT planet decal as well. 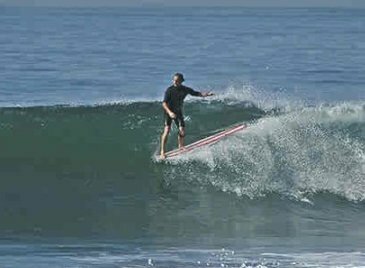 Skateboards were also manufactured by Wave Trek under the name Trip Stix. 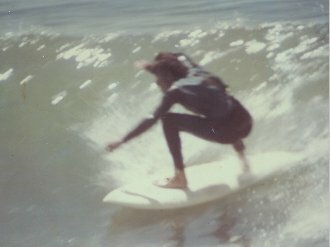 During the mid to late 1970's, thousands of fiberglass skateboards were built at the Huntington Beach manufacturing shop. 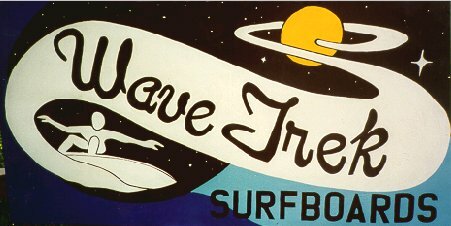 Wave Trek was the first local Orange Conty surf shop to use the (then) new nylon wheels and modern trucks built by Oak Street. 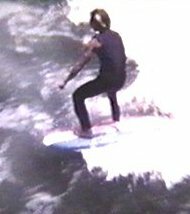 The link below goes to the interview Bruce Gabrielson gave about TripStix for the Larry Stevenson - Makaha Skateboard documentary in 2003. 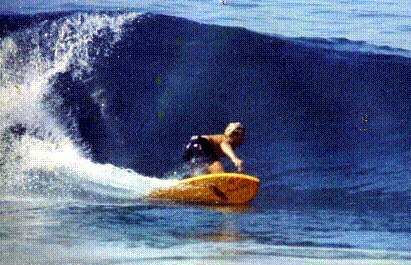 Several great surfers and notables including Micky Dora rode Wave Trek's over the years. Team riders also won a large number of manufacturer's events between 1970 and around 1974. 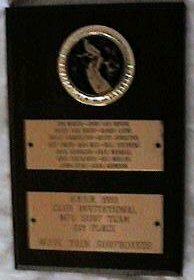 Shown (at right) is the award from one such manufacturer's event. 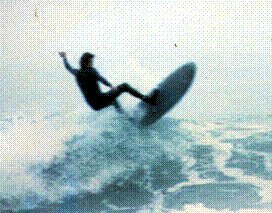 This link goes to a 1972 Surfer Magazine story about the WSA Hollywood by the Sea 4A contest where Wave Trek Surf Team members participated. 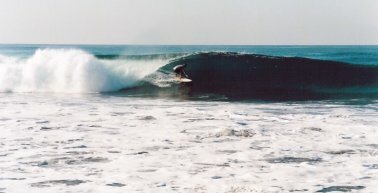 Much of the history of Wave Trek is still available. 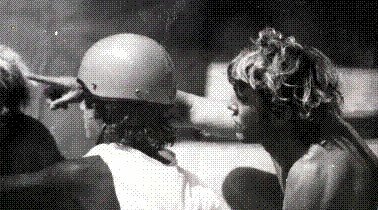 Besides many pictures, film clips, and magazine articles, Bruce Gabrielson (left) chronicled most of the Wave Trek Surf Team adventures in two pamphlets titled "WaveTrekking" and "WaveTrekking II" in the mid-70s. 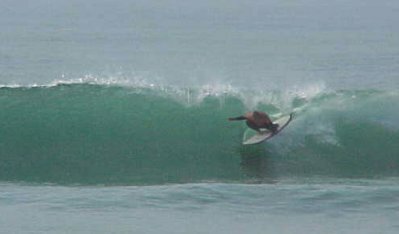 Below is a partial list of those who rode Wave Treks at some point during their careers. Designers are considered those who developed special template designs.